The top seeds and pools have been confirmed for the Bayleys National Sevens as the most important year yet in sevens gets underway in January with a huge feast of the new Olympic sport. Sixteen men’s teams and 10 women’s teams will again compete in the two day tournament which kicks off at Rotorua International Stadium on Saturday 16 January. Just two weeks later the best sevens players in the world will descend on the capital as Wellington Sevens gets underway on Saturday 30 January. Click here for full draw. “This will be a very exciting year for sevens with the Olympics in Rio de Janiero just around the corner,” said New Zealand Rugby Chief Executive Steve Tew. 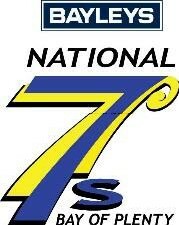 Up to four places in the All Blacks Sevens Wider Training Group will be confirmed by Coach Sir Gordon Tietjens after the National Sevens. New Zealand Women’s Sevens Coach Sean Horan will also finalise his 2016 squad. “As we saw in Dubai and Cape Town, our men’s and women’s teams are facing much tougher competition these days,” said Tew. “That’s no surprise with a rugby gold medal up for grabs at the Olympics for first time since 1924. But it really shows how important it is that we have a strong domestic competition so we can keeping building the depth and skills we need to continue to do well at the top level of the game. With regional qualifying tournaments completed and seedings confirmed, the pools have been announced for the National Sevens. In the men’s draw Auckland and Hawke’s Bay head their pools after winning the northern and central regional qualifying tournaments respectively on the weekend (insert link here). Counties Manukau, runners up to Auckland top Pool C while 2015 champions, Waikato, head Pool D.
On the women’s side of the draw, northern winner Counties Manukau heads Pool 1. Central winner and this year’s runner up, Manawatu, top Pool 2. Organisers of the National Sevens are hoping locals and visitors take advantage of the chance to see some of the best sevens players in the country in action. “It’s a fantastic opportunity for the Bay of Plenty and Rotorua community to get involved in an action packed weekend,” said Bay of Plenty Rugby Chief Executive Mike Rogers.